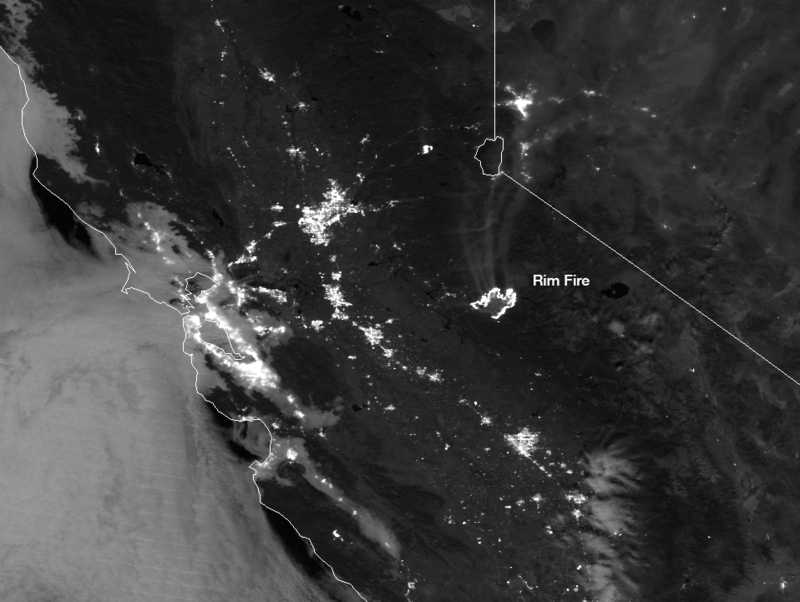 LOOK: The California Rim Fire As Seen From Space : The Two-Way The night-time shot shows the fire, which has burned an area the size of Chicago, looking as bright as San Francisco. You've probably heard it a few times already: The wildfire raging north of Yosemite National Park has burned 149,780 acres, an area as big as Chicago. Today, the National Oceanic and Atmospheric Administration released a couple of photographs taken by the Suomi NPP satellite over the weekend. 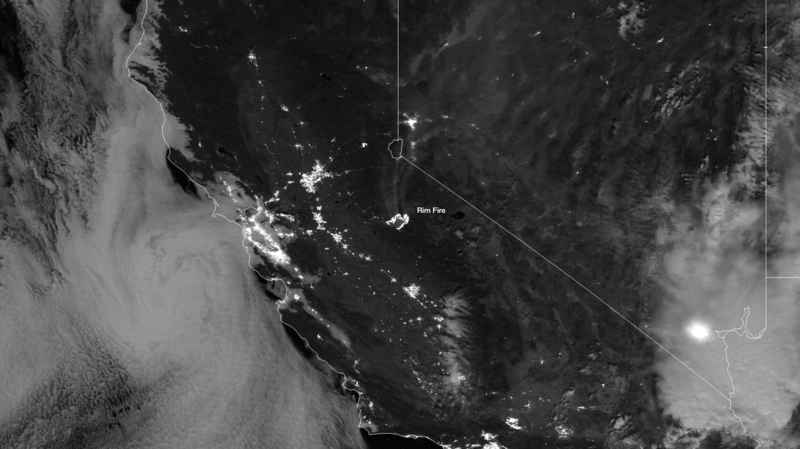 This image was taken by the Suomi NPP satellite's Day-Night Band around 0950Z on August 23, 2013.